During the final day of the 2016 legislative session the Georgia Senate failed to take action on SB 145, a bill which would have expanded Georgia’s medical marijuana oil law. 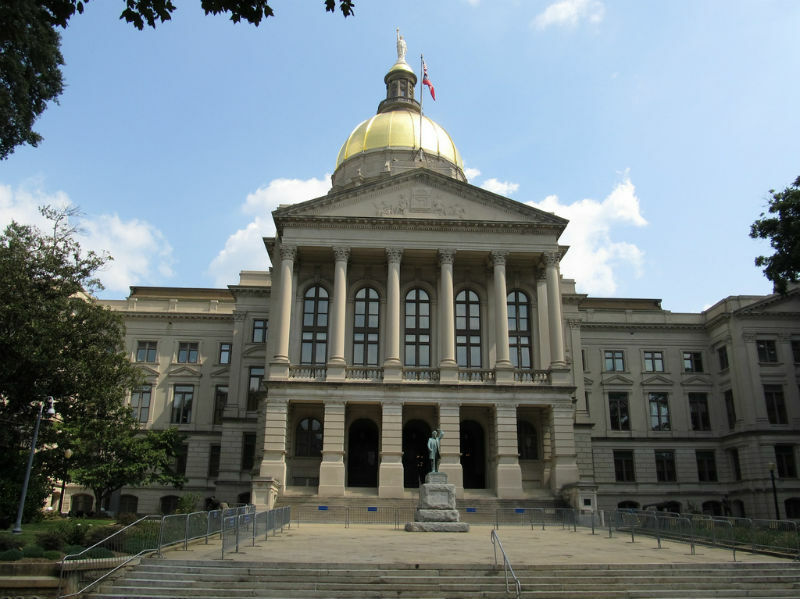 The defeat of SB 145 comes after a legislative session chock full of political wrangling and the further intrusion of special interests into the lives of sick and dying Georgians. SB 145 was originally introduced in the Georgia House of Representatives this January as House Bill 722. 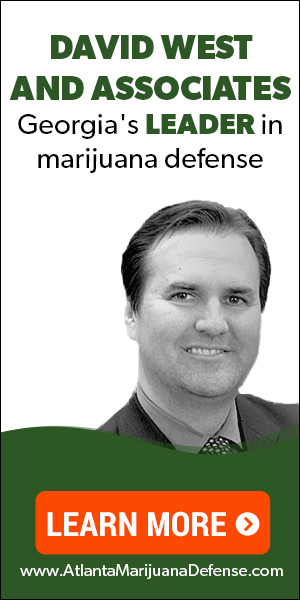 As it was originally conceived by State Representative Allen Peake (R- Macon), HB 722 would have legalized in-state medical marijuana cultivation for up to five licensed producers, and it would have created a robust medical marijuana oil industry in our state that would have provided both choice and safe access to cannabis medicine for thousands of patients. But the prospect of in-state marijuana cultivation was too much for the propagandists and special interests, so it was removed in committee hearings and compromise was struck that would add legal protection for low THC oil producers that ship their product to patients. HB 722 passed the House and moved to the Senate with the committee’s modifications, and when it landed in the Senate Health and Human Services Committee it was killed by the committee chairperson and full-time insurance company executive Senator Renee Unterman (R- Buford), who refused to give the bill a hearing. After Sen. Unterman’s obstructionary measures Rep. Peake teamed up with Sen. Josh McKoon (R- Columbus) to gut McKoon’s previous marijuana bill and inserted the language from 722. The new NEW bill went back to the House, received a favorable vote and returned to the Senate for a final vote, where it met its final demise. You can read the full version of Senate Bill 145 below, or click here to download a PDF copy. The senate passed SB 145 with new protections for people importing THC oil products and added diseases. They did quash any hope of us having in state cultivation but the bill passed the senate. How about you just delete this and write a new one? Senate Bill 145 did NOT pass the Senate, it was never brought up for a vote. This bill is dead as a hammer. Sorry Bob. I plan on writing every Senator an email with my story. I don’t know if it will matter to them or not. But as a former Pastor’s wife, a Conservative, a Former Community Servant working to help families find their strengths and improve their lives, working in prisons and jails helping inmates transition, and a Veteran, I believe I have earned the right on for Right to hear me out,when several of those conditions are making my life impossible. I had to leave the job I loved in 2007 totally disabled, having a total physical and emotional breakdown. My husband had to leave the ministry to care for me. I have dedicated my life to serving my country, then my Community with non-profit agencies. Now my life, my health gets worse every year, I have ran out of options at 58. One of my biggest stumbling blocks is now all that’s left for me is to endure severe chronic pain, in bed all day or opiates that make me slur my words like I am drunk and can’t think or make decisions or a morphine pump. I’m convinced that it’s not just the Conservatives or Bible Belt Bunch that’s impeding medicinal cannabis progress. It’s the special interest such as Prisons, Sheriff and Law Enforcement Organizations, Pharmaceuticals, Alcohol and other powerful entities who influence our Governor, Senators and Congressmen. Shame on our elected representatives; people are hurting and dying while they continue on with their list of perks and privileges. The DEA which refuses yo re schedule it from a schedule 1 drug. This is a huge hurdle federally. The definition of a schedule 1 drug is a drug with no medicinal value. We now know that’s not true. They still refuse to change it? 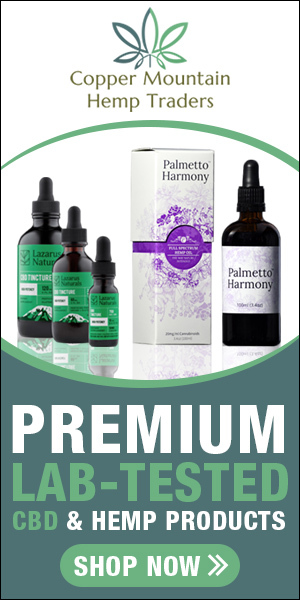 I have two friends that both have stage 4 cancer and they can not find the Cannabis oil here in Georgia to save their life’s. The government knows that Cannabis oil can save life’s yet we can’t get it here. SOMEONE HELP!!! They have too much money invested. They ate greedy. The oil is the only thing that helps with pain and throwing up. Having to use it illegally is tough. It helps me. I am on oxygen 24/7 and have severe pain. When I smoke I don’t have to take as many pain medicines or as many depression and anxiety meds. I am a walking pharmancy. PLEASE HELP US. I’m tired of taking over 6 different pain meds. And other meds i take for other things. My Mom was in the final stages of ALZ and suffered with seizures but we couldn’t find a pathway to obtaining medical Cannabis. My sister cared for her & risked prison to obtain this treatment for her BECAUSE it allowed her to live at home with our family instead of passing away in a nursing home. It also improved the appetite of a 90 lb woman that was wasting away. My Mom was never high and the oil also stopped her heartbreaking fidgets that prevented her and my sister from sleeping for weeks at a time. My Mom’s physical therapist helped obtain the Cannabis Oil for our Mother and he went to jail for helping dying patients locate & obtain the oil in my small town. There is a special place in he!! for those that deny this treatment to patients. I know that someday a bill will be passed that will allow CBD Oul that will help many patients live pain free and stop epilepsy that is ravaging our children but it wont matter because me, myself, will be dead. I have stage 4 breast cancer and i am in excruciating pain most of the time. If i had been one of the family members to Sen Untermand family yhe bill would have been passed nut im just a nobody. Im someone who paid yheir taxes all their life, saw my husbsnd give 28 years of his life to the military and 14 more to the Countu Sherifs dept but we dont count so all i have to say is Thanks for nothing. Not surprised by this. Georgia elected officials are more concerned with special interest dollars than their constituents. Time to clean house and elect folks that will truly listen. Please vote and get rid of people like Renee Unterman. You all keep voting Republican. This bible belt state will be the last to have marijuana reform. They will continue to imprison our youth. They will continue to ruin the futures of our youth by having a criminal record follow their working careers for the rest of their lives. Limiting then to too low paying jobs with no retirement or future. Let’s make alcohol illegal and imprison those who use it. See how that effects the future. History has shown us that prohibition does not work. Just because marijuana isn’t the alcohol or cigarettes of your generation,it is ours. Just like past generations fought for the end of prohibition. Most violently I must add. So shall we fight for ours. Peacefully however. Think about that for a minute. It is 2016. Let’s get this antiquated way of thinking out of Georgia politics! Freedom is for all! Thank you Bill! Vote blue this November! Since the bill never came up for a vote during the last days of the leg. Session, does this mean that the entire bill is dead and it must begin from square one again? So funny I stumbled on a 1999 Federal Government Patent held by Department of Health And Human Services. Eye opener, pro marijuana research, for leukemia, Alkzheimer, Parkinson’s to slow it DOWN, I thought no this can’t be then I skimmed because I didn’t understand everything till it came to some of my disorders,if we lived in Illinois, I would qualify on four conditions, and as a Veteran, be subsidized. I thought Patent 6630507. I, being naive, thinking the State Senate and Governor doesn’t know information because if they did, they would want what’s best for their people. I was wrong. I don’t know about the Governor, he couldn’t even be bothered with a form letter. I just have always trusted people to be honorable till I know otherwise. I, now, know otherwise. I don’t think we have a chance worth a tinkers damn in most states and yes it’s law enforcement agencies, but also big Pharmaceutical companies saying we can’t regulate the THC and CBD consistently. Well they are selling Armour Thyroid and have been for years and every batch of that’s strength changes batch to batch. I found that out the hard way with too weak of a dose and Thyroid covered in so many nodules it’s dead. But here’s a happy thought none are big enough to biopsy yet per insurance companies, so if it’s cancer it’s the slow growing kind or I would be dead. Always a bright side. ok i had a brain bleed in 2015 migrains seizures ruptuted lumbar L 3 4 5 Bulding disc thorasic T 7 Bulding disc cervical C 2 Ptsd arthiritis copd severe sepression Disable vet 100% service connect Hurt 24/7 insonmia Sick to stomach every morning and evening.So i need help very bad!!!!!!!!!!! I now take cbd oil to no avail. that’s what I thought didn’t have the balls to put my post up. you people in the house need to stop watching reruns of REEFERS MADNESS this is 2017 ! You guys are a pathetic excuse for lawmakers. It is the year 2017. There are those of us that suffer from PTSD. The medical marijuana woukd have helped us. I am disgusted with the lawmakers in this state. You guys are an embarrassment to your constituents and to every citizen with common sense. I hope there is such an uproar that you clowns will lose your jobs. We will pay you back at the ballot box. I hope that Georgia waked up and realizes that we are in the 21st century. I hope Georgians demand to have legalization and/decriminalization put on the ballot. Then, we can decide and not have to rely on a bunch of backward thinking, Bible thumping, hick lawmakers. We’ll remember this come election time. The Hypocrisy of the State and its Conservative Leaders knows no Bounds. They claim to lead the charge for smaller Government, yet they continue to meddle into our personal healthcare, insisting they have the right to make personal healthcare decisions for everyone in the State! My Needs are determined by myself and my Personal Care Physician…… not the State Capital! Do what you were voted into office to do, decrease the size of Government and its intervention in our lives, and stall out of our personal heath care Decisions! Its between my Doctor and me….. please think about us instead of Big Pharma for a change!